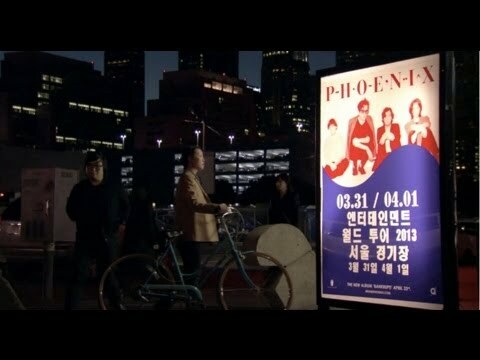 Despite the fact that this band hails from France, Phoenix makes catchy pop/rock tunes (with English vocals) better than most American or English bands do. The French group's penchant for hooky riffs and memorable vocals--clearly evident on the band's celebrated albums--has led the group to global success and a fan base eager to see the band during one of its notorious live shows. Founded in 1997, the group released its debut album, United, in 2000 and since then the group has kept busy and released a steady stream of critically lauded LPs. Boomas ❤️#repost @thehives・・・This is Boomas. He has been filling in for Chris Dangerous while Chris recuperates from surgery. He can usually be found in @wearephoenix @cultofluna and @deportees_official Without him we wouldn’t have made it to Mexico. Everybody comment Thank you Boomas! Congratulations @ocasio2018 on being the youngest woman ever being elected to Congress!